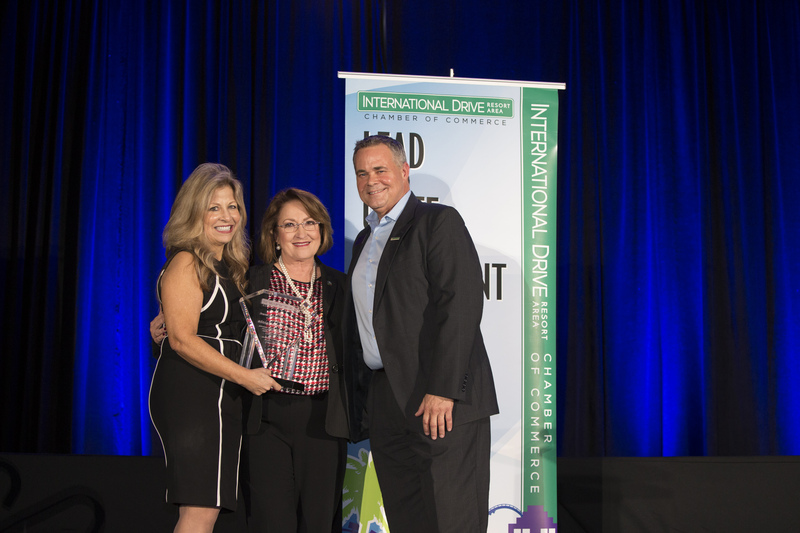 Orange County Mayor Teresa Jacobs was recognized by the International Drive Resort Area Chamber of Commerce with the Visionary Leadership Award at its 30th Anniversary Awards Luncheon held at the Orange County Convention Center on Nov. 16. 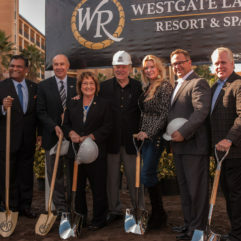 Under Mayor Jacobs’ leadership, the International Drive corridor has expanded and developed over the last eight years — during her time as Mayor and when she previously served two terms as an Orange County Commissioner. Together with I-Drive stakeholders, and through the Mayor’s strategic guidance, I-Drive has grown into a dynamic gathering place for residents and guests. In the past year, more than 89,000 square feet of commercial space was added to the area, including 223 hotel rooms and the opening of the Andretti Indoor Karting and Games and Topgolf attractions. 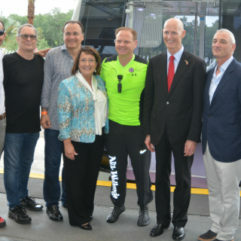 Recognizing the importance of creating a shared vision for the International Drive Area, Mayor Jacobs appointed a Steering Review Group (SRG) composed of I-Drive-area stakeholders and landowners who are committed to maintaining I-Drive as the world’s premier global destination for tourism and family entertainment. The Steering Review Group was tasked with crafting a comprehensive and cohesive plan for the Study Area, as well as implementation strategies and tools for consideration by the Board of County Commissioners (BCC). The I-Drive 2040 Vision was accepted by the BCC on November 3, 2015. Currently, I-Drive is comprised of more than 120 hotels, 900 retail outlets, 342 restaurants and 35 attractions, as well as the second-largest convention center in the country, the Orange County Convention Center. Celebrating more than 30 years of success, the Orange County Convention Center is the second largest convention facility in America. Each year the Convention Center attracts more than 200 events to the Central Florida area. As a result, roughly 1.4 million attendees contribute approximately $2.1 billion to the area’s economy each year. 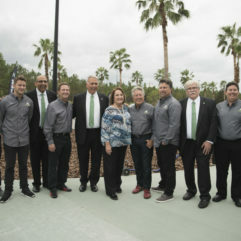 At the luncheon, Mayor Jacobs also proclaimed Nov. 16, 2017 as International Drive Resort Area Chamber of Commerce Day to recognize the past 30 years of successfully uniting the I-Drive Resort Area’s tourism community, which has positively impacted the tourism industry and the Central Florida region. I-Drive employs more than 75,000 people in Central Florida, brings $7.1 billion in gross taxable value, generates $188 million in annual tax revenue and represents 10 percent of Orange County’s tax revenue.